SALT LAKE CITY (May 12, 2016) – International teams round out the final four invitations for this year's Larry H. Miller Tour of Utah, Aug. 1-7, completing the men’s field with 16 professional squads. Representing four different countries, it will be the first appearances at the Tour of Utah for these teams — Fortuneo-Vital Concept (France), Nippo-Vini Fantini (Italy), ONE Pro Cycling (Great Britain), and Silber Pro Cycling (Canada). Six teams in the final field will be racing in top WorldTour events sanctioned by the Union Cycliste Internationale (UCI), including the Giro d’Italia (in progress through May 29) and the Tour de France (July 2-24). Currently competing in the Giro are Nippo-Vini Fantini and the four WorldTour teams confirmed for Utah — BMC Racing Team, Cannondale Pro Cycling, IAM Cycling and Trek-Segafredo. Joining these same four WorldTour teams at the Tour de France will be Fortuneo-Vital Concept. “We have an incredible international field for this year’s Tour of Utah. Six of the 16 teams are making their first appearances in Utah. We are excited to have them race on the challenging courses throughout our beautiful state for seven days in August,” said Jenn Andrs, executive director of the Larry H. Miller Tour of Utah. 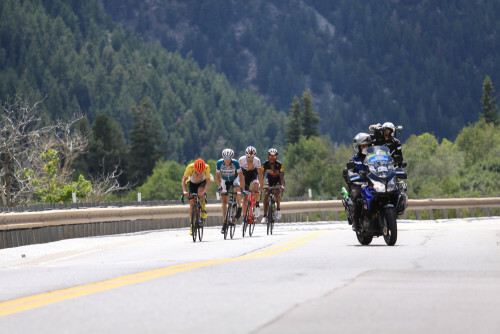 The squads scheduled to battle at “America’s Toughest Stage RaceTM” have athletes who have accounted for 18 stage wins at the Tour of Utah since 2011, the year the Tour became sanctioned by the Union Cycliste Internationale (UCI). Specific race rosters for Utah will be announced at the end of July. Some of the top contenders expected to return to Utah are defending champion Joe Dombrowski (USA) of Cannondale Pro Cycling Team, 2015 overall sprint classification winner Brent Bookwalter (USA) of BMC Racing Team, two-time general classification runner-up (2013-14) Chris Horner (USA) of Lupus Racing Team, as well as Trek-Segafredo’s Fränk Schleck (Luxembourg), who finished fourth on G.C. at last year’s Tour of Utah. Among the four new teams completing the 16-team field, three are registered as UCI Pro Continental teams and one is a UCI Continental team. ONE Pro Cycling is the first UCI Pro Continental team based in Great Britain. The 2016 squad features Dion Smith (New Zealand) and Matt Goss (Australia), both who have raced the Tour of Utah with other teams. In 2011, Goss won Milan San Remo and finished second in the Road World Championships. Smith finished third in the points classification and fourth in King of the Mountain points at last year’s Tour of Utah riding for Hincapie Racing Team. Nippo-Vini Fantini, based in Italy, moved to the UCI Pro Continental level in 2015. The majority of riders are from Italy and Japan, with a focus on developing talent from Japan for the 2020 Tokyo Olympic Games. The captain is Italian Damiano Cunego, who has competed at the Giro d’Italia 11 times, winning the Grand Tour race in 2004. French-based Fortuneo-Vital Concept will compete at the Tour de France for a third consecutive year. This Pro Continental team, which raced under the name Bretagne–Séché Environment last year, includes 19 riders from six countries. The team is led by 2015 Danish National Road Race champion Chris Anker Sorensen, who captured a stage win at the 2010 Giro d’Italia and was fourth in the King of the Mountains classification at 2015 Paris-Nice. Silber Pro Cycling is a third-year Continental team based in Canada, and features an all-Canadian roster. The team has enjoyed a successful start to its 2016 campaign, with Matteo Dal Cin becoming the first Canadian to win the Redlands Bicycle Classic in the 34-year history of the race. Teammates Nigel Ellsay claimed second in the G.C. at the Joe Martin Stage Race and Alex Cataford earned second in the G.C. at the Tour of the Gila.